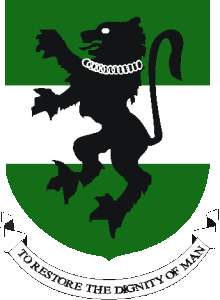 UNN Direct Entry Admission List 2017/2018 [Merit, Supplementary 1 & 2]!!! University of Nigeria Nsukka, UNN direct entry admission lists [Merit and Supplementary 1 & 2] for 2017/2018 academic session are out. These released admission list are for candidates who have been offered admission into the university through Direct Entry. Candidates who applied for the UNN admission via 2017 JAMB Direct entry should check these admission lists for their names. The list is available online. Candidates who want to check their UNN admission status on the released DE Admission list should follow the steps below. The University of Nigeria, Nsukka hereby offers Provisional Admission to the following Direct Entry Candidates into her various first degree programmes for the 2017/2018 academic session. Note that the admission lists are contained in a pdf, the link directs you to the files for easy access. Congratulations to all students whose names appear on the 2017/2018 University of Nigeria Admission List for Direct Entry candidates.